Some of the smartest and most creative signs I've ever seen were displayed by the hundreds of thousands ralliers who gathered on the National Mall in Washington, D.C. on Saturday for Jon Stewart and Steven Colbert's much-hyped Rally to Restore Sanity and/or Keep Fear Alive. It was inspiring to see so many people come out for a day of music, comedy and an impassioned plea by a serious Stewart at the end of the event for civility and, well, sanity in these economically uncertain and politically polarized times. Hopefully all the young people at the rally will go out and vote on November 2nd to keep America moving forward. Please consider giving a donation to the official non-profit for the Rally to Restore Sanity -- The Trust for the National Mall, which works to restore and improve America's long-neglected front lawn. Please click here for the link to donate. In a unanimous 10-0 vote with one abstention, the Metro Board of Directors today voted to approve extending the Purple Line subway from its current terminus at Wilshire/Western to the VA Hospital in Westwood, just off the 405 freeway. 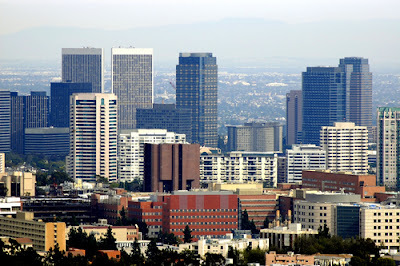 According to Metro's The Source blog, the 9.5 mile underground heavy rail route would take about 25 minutes to travel from downtown to the VA Hospital, cutting travel time in half from a typical bus or car drive from the biggest job center in L.A. County (downtown) to the second-biggest job center (the Westside). Now it gets tricky because the placement of each stop must be approved next and there could be a nasty legal battle on hand from Beverly Hills residents if the alternative Constellation and Avenue of the Stars route is chosen over Santa Monica Boulevard. It would take the station closer to the heart of Century City but also tunnel under homes and a school. Metro and other subway experts have argued that tunneling under homes and schools is 100% safe and has been done successfully already in Los Angeles and countless other cities with virtually no problems and minimum disruption to residents and students. The Board also approved a route for the Downtown Regional Connector which will create seamless transfers between the different train lines that run through downtown. "The Westside Subway Extension is among a dozen transit projects to be funded in part by Measure R, the half-cent sales tax increase approved by voters in Nov. 2008. 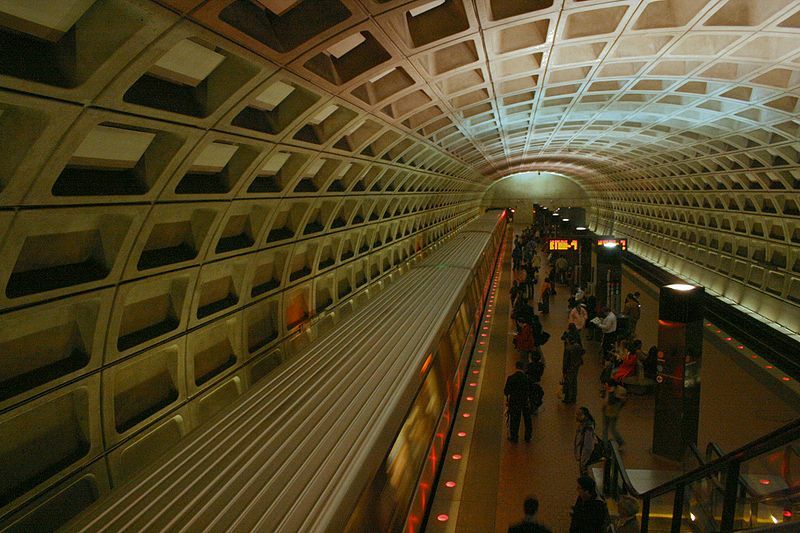 Without the $4.2 billion provided by Measure R, the subway extension would not be possible. The Board also voted to launch a final environmental study and preliminary engineering of the project, which will take place over the next year. The target date for the beginning of construction is 2013. 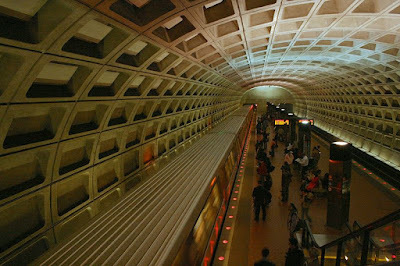 Metro hopes that selecting a route will help secure federal New Starts money to help build the project in next year’s federal budget. The estimated cost of the project in 2009 dollars is about $4.36 billion, but it will likely cost more depending on the year built and inflation. The opening date of the project depends on different funding scenarios. With a mix of Measure R funds and New Starts dollars, Metro plans to open the subway in three phases: to Fairfax Avenue in 2019, Century City in 2026 and Westwood in 2036. If additional federal loans and other financing can be obtained — a plan called the 30/10 Initiative to speed the construction of Measure R projects — the entire subway would be built at once and would open to Westwood in 2022. It remains to be seen whether segments could be opened earlier." Perhaps one explanation is that Sweden, Norway, Finland, Iceland and Denmark are all rapidly transitioning from fossil fuels to clean energy so their citizens can breathe clean air and know they are playing an important role in dealing with the climate crisis. At least that was one possible reason given at a recent panel discussion at the Capitol Visitor Center hosted by the Environmental and Energy Study Institute and the Nordic Council titled "Shaping a Low-Carbon World: Lessons From Nordic Countries." The panelists included Fridtjof Unander, Director of Energy and Petroleum, Research Council Norway; Jes Brinchmann Christensen, Managing Director, Danish Board of District Heating (DBDH); Mikael Möller, Head of Industrial Policy, Swedish Plastics and Chemicals Federation; Pekka Sauri, Deputy Mayor, City of Helsinki, Finland; and Gudni A. Jóhannesson, Director General, National Energy Authority of Iceland. 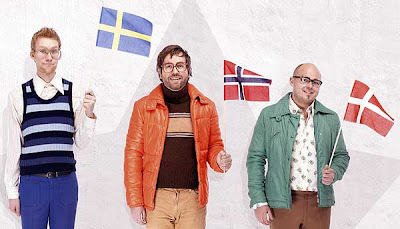 Sweden -- Was one of the first countries in the world to introduce a tax on carbon dioxide in 1981 and it applies to both households and industry. Sweden has a vision to be carbon neutral by 2050. They are really focusing on the transportation sector with the goal of increasing the share of renewables to 10% by 2020 and have a car fleet that is independent of fossil fuels by 2030. Finland -- One of its primary sources of renewable energy include bioenergy like wood and wood-based fuels as well as hydropower, ground heat and solar energy. Its goal is to increase its share of renewables to 38% by 2020 and aims to cut its emissions by at least 80% from the 1990 level by 2050. Norway -- It is the sixth largest hydropower producer and is going to overfulfill its commitment under the Kyoto Treaty by 10% by cutting 30% of greenhouse gas emissions compared to the 1990s by 2020. Norway aims to be carbon neutral by 2030. Denmark -- Known for its wind power, today Denmark is energy independent and between a quarter and 30% of its electricity comes from wind. Iceland -- Gets 82% of its energy needs from domestic renewable sources. It is known for its geothermal energy. Today about 97% of households in Iceland have access to geothermal district heating. Shaping a Low-Carbon World: Lessons from Nordic Countries from Laura Parsons on Vimeo. 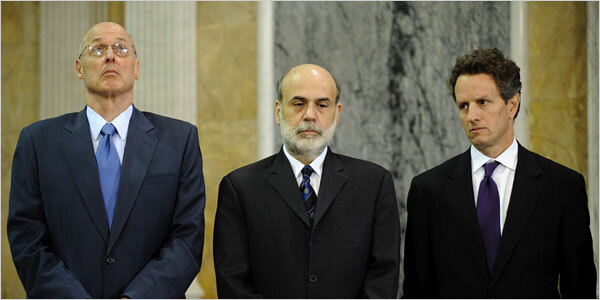 The villains are many and the heroes few in Director Charles Ferguson's examination of the events that led up to the 2008 financial crisis that still resonates to this day in foreclosed homes, lost retirement savings and the most painful global recession in decades. "Inside Job" points the blame at the big players in Washington and Wall Street for placing a rigid free-market, deregulation economic ideology above common sense policy decisions and for failing to recognize the many warning signs that the credit default swaps, subprime mortgages, derivatives, etc... would all come crashing down like too many cocaine binges by Wall Street big shots. The greedy, narcissistic culture on Wall Street was allowed to swindle the American people because of back-bending politicians in Washington greased by Wall Street money. Many of these leaders in the White House, Congress and regulatory agencies were either former Wall Street execs themselves or had strong ties to the financial services industry. The victims, as usual, are the working class and middle class all over the world. Perhaps the most disturbing part of the film is its examination of how the financial services industry has hijacked academia through big money and high-profile faculty who espouse the free-market, anti-regulation philosophy that puts Wall Street profits above all else. AAA has been getting a lot of bad publicity lately regarding its negative stance towards bicycle lanes. Recently the American Automobile Association argued that the new Pennsylvania Avenue bicycle lanes will increase congestion, even though the District of Columbia Department of Transportation's modeling has predicted the bike lanes will actually reduce traffic congestion. But thankfully there is a greener alternative to AAA and it is called the Better World Club, which labels itself as "America's environmentally friendly auto club." While they don't yet offer the major discounts for Amtrak and vacation spots that AAA offers, they do offer roadside bicycle assistance, something AAA would never dream about offering in their car-first thinking. "BWC has benefits that you won't find anywhere else. We aren't a member of the Highway Lobby. We donate 1% of Gross Revenue to the environment, and provides a free carbon offset to insurance clients. 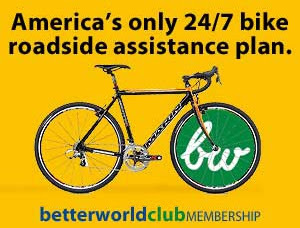 We discount membership fees for hybrid drivers... AND we have the only nationwide bicycle roadside assistance!" Of course BWC has a long way to go to even begin to compete with AAA -- 20,000 members as of 2006 versus 53 million members of AAA. But as people demand more bike-friendly communities this number is poised to grow if AAA continues to disrespect bicycling as a commuting option. And the list of partners is growing as well. BWC currently partners with Adventure Cycling Association, Car Talk, League of American Bicyclists, National Wildlife Federation, Organic Consumers Association, Washington Area Bicycle Association, and Working Assets. Summary: Federal commitment will move project forward, increasing prospects for Mayor Villaraigosa’s massive 30/10 transit plan. 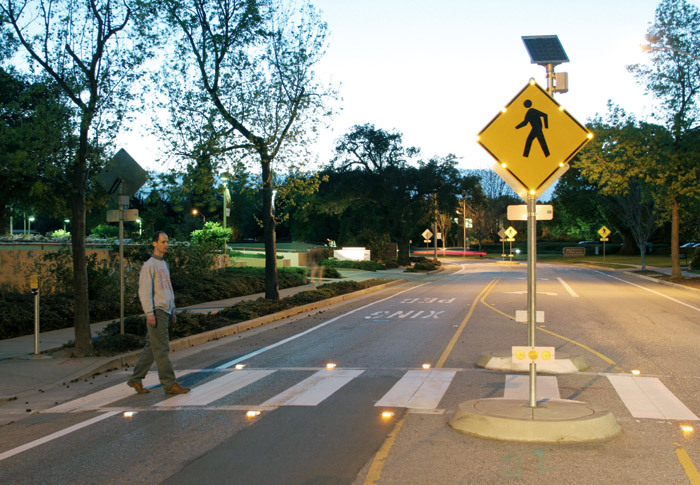 This could be a model for other cities, though the availability of more financing is unclear. Summary: University of California San Diego officials won a national award for their ambitious plan to cut carbon emissions, trim water use and reduce waste during the next 10-15 years. Summary: California again leads the American Council for an Energy-Efficient Economy's annual list of the states that do the most to advance energy efficiency, but Massachusetts is closing in on the Golden State and its four-year claim to the top spot. Summary: Defenders of California's global warming law are bracing for a last-minute spending blitz from oil companies determined to nix one of the state's premier green crusades come Election Day. But the big money may not come. Summary: Up to now, Hollywood's contribution to the No on 23 campaign, fighting a rollback in California's global warming law, has been scant. But director James Cameron chipped in $1 million on Friday. Summary: UCLA professor Donald Shoup, hailed as the 'prophet of parking,' believes free or inexpensive space for cars is at the root of many an urban ill: congestion, sprawl, wasteful energy use, air pollution. Summary: Bolstering California’s credibility as a leading state in solar power, IKEA has plans to install solar energy panels on eight of its California locations, while McDonald’s has installed solar panels at its restaurant in Riverside as part of its quest for Leadership in Energy and Environmental Design (LEED)certification from the U.S. Green Building Council. Summary: Environmental justice, a movement to focus attention on pollution in low-income communities, is a burning cause for Lisa Jackson, the first African American to head the U.S. Environmental Protection agency. Over the last several months, Jackson has toured poor white, black and Latino communities with a message: Eco-issues aren't just for rich folks. Summary: When it comes to "green" in Hollywood these days, it's not just about cash. Actors, producers, directors, and other industry folk are interested in furthering efforts to improve the environment, and work to make their productions, from content to practice, more eco-friendly. Summary: Hermann Scheer was able to see beyond the energy status quo and envisage a different energy future. A Social Democrat member of the German parliament since 1980, Scheer was instrumental in introducing Germany’s solar roof programmes and Renewable Energy Law (which included the feed-in tariff). Big Oil goes to college: a conflict of interest? Summary: Have hundreds of millions of dollars in grants from major oil companies compromised the ethics of energy research at such institutions as UC Berkeley, UC Davis and Stanford? Many Beverly Hills residents want Century City commuters to walk farther to their subway station because they don't want Metro to tunnel under Beverly Hills homes and Beverly Hills High School. 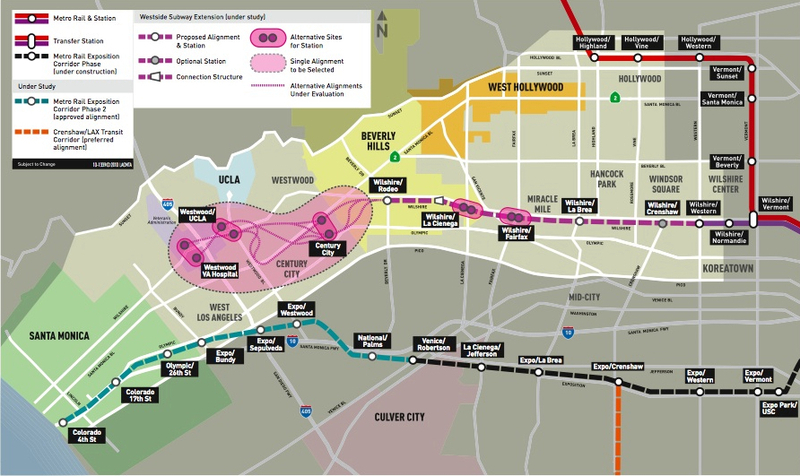 You would think Beverly Hills, California residents would take a measured and educated approach to the Westside Subway Extension that will be built through their city. But at a recent Metro hearing in B.H., reason gave way to fear-mongering about the "children" at Beverly Hills High School and the homeowners who would live above an underground subway if the alternative Constellation routes are chosen over the Santa Monica Boulevard route. These residents are ignorantly and selfishly putting their own needs above the greater L.A. community that desperately needs better public transit. The Constellation Avenue options would bring the station closer to the heart of Century City and thereby encourage more of the thousands of office workers to commute to work by train instead of driving. And it would make it easier for the thousands of low-wage workers who commute from the Eastside to get to their destinations in Century City. That is something these Beverly Hills residents, with their two or three luxury cars in their driveways, don't have to worry about. "Beverly gained more notoriety when Erin Brockovich and Ed Masry announced having filed three lawsuits in 2003 and 2004 on behalf of 25, 400, and 300 (respectively) former students who attended Beverly from the 1970s until the 1990s. In April 2003, the Texas-based lawfirm of Baron & Budd partnered with the law office of Masry & Vititoe to lend its expertise in lawsuits related to health risks of volatile chemicals. The number of actual cancer claims filed in Santa Monica was ninety-four. The lawsuits claimed that toxic fumes from the oil wells caused the former students to develop cancer. The oil wells are very close to all of Beverly's sports facilities, including the soccer field, the football field, and the racetrack. Beverly students—not just athletes but students taking required physical education classes from the 1970s until the 1990s—were required to run near the oil wells." While the lawsuits were dismissed, it did much to tarnish the high school's reputation. "A part of what makes the school so affluent is the oil tower that casts a shadow over the football field. The school receives royalties from the well that go directly to the general fund. 'We get about $300,000 a year that goes into the general fund, which supports student programs,' Stepenosky said. 'About 85 percent of the teachers' salaries comes from the general fund as well.'" So maybe it isn't about the health and well-being of the "children." Maybe it is about that $300,000 a year the high school gets from the toxic oil wells under the ground. But what are the examples of subway lines underneath homes and schools that many B.H. residents so conveniently dismiss in their relentless anti-Metro media campaign? Here is one example of the reality that it is perfectly safe to build a subway underneath homes, schools, businesses and yes, even hospitals. 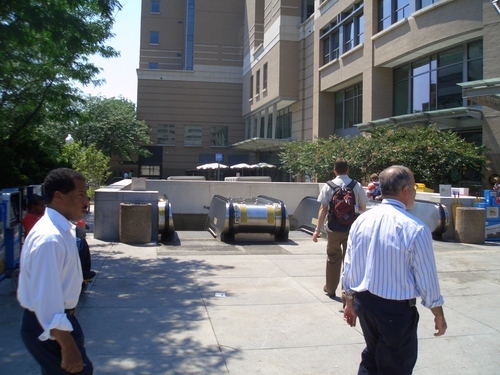 The Foggy Bottom Metro Station in Washington, D.C. is located directly underneath George Washington University Hospital. That is a question many Americans will have in the coming months as Congress begins to take up legislation that will attempt to put our renewable thermal needs on par with our renewable electricity needs -- something that has been going on for decades in countries like Denmark. The Environmental and Energy Study Institute recently held a panel discussion with industry leaders on Capitol Hill to talk about what exactly is District Energy and Combined Heat and Power and why it is so crucial to meeting our energy needs in a sustainable way. The event, titled "How We Can Tap Renewable Thermal Energy and Waste Heat," featured speakers including International District Energy Association President Rob Thornton, District Energy St. Paul President and CEO Ken Smith, International District Energy Association Legislative Director Mark Spurr and American Council for an Energy-Efficient Economy Associate Director of Research Neil Elliot. Here are some notable quotes from the event followed by the full video of the presentation. "District cooling takes the bad cholesterol out of buildings." "By taking energy out of buildings you increase the value of those buildings." "Those energy dollars are recirculated in the economy." "130 years ago District Energy was started in the U.S. as an emission control strategy. It was the first air quality strategy in the country." "In the U.S. two-thirds of fuel is wasted. We only use 9% with Combined Heat and Power. Denmark uses over 60% with CHP." "97% of Copenhagen is on District Heating. There is a wholesale heat grid in Denmark. They don't waste heat, they use it. Denmark has an energy surplus of $5.5. billion, their energy efficiency is up 4%, their fuel consumption is down 17% and their GDP is up 78%." "St. Paul is the largest hot water district energy system in the U.S."
"Our thermal storage wood-fired CHP plant in downtown St. Paul serves 85% of downtown businesses." "We are at 70% renewable with a goal of 100% renewable." "Waste heat is a tremendous opportunity." "Our plan is for the largest solar thermal integration in the Midwest. It will be the first project of its kind in the U.S."
"The goal of the Thermal Renewable Energy and Efficiency Act of 2010 is to stimulate investments in low-carbon thermal energy infrastructure by focusing on the use of renewable energy to supply heating and cooling." "Provisions include a renewable thermal production tax credit, tax-exempt bonding and energy sustainability grants for institutions." 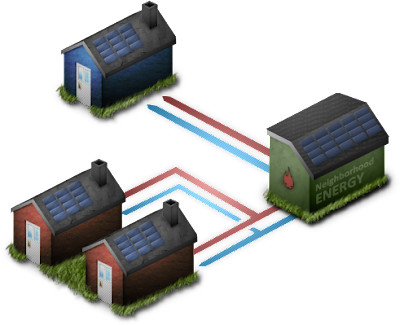 "One-third of energy goes to thermal, not electricity." "These are opportunity fuels -- wood, geothermal, biomass, landfill gas and solar thermal." "People know kilowatts, they don't know the value of thermal energy." "In terms of environmental regulations, we treat thermal different than power. Thermal energy isn't valued." "This legislation puts value on thermal energy. The bill begins an important step forward." Recently the X Prize Foundation and Progressive Automotive Insurance handed out $10 million in prize money to three teams that demonstrated the most super fuel-efficient vehicles that exceed 100 MPGe (Miles per Gallon or Energy Equivalent) -- a new way to compare the efficiency of gasoline to electric and other alternative fuel vehicles. Here are some photos I took of the event on the grounds of the Historical Society of Washington, D.C.
And here are videos I took of the vehicles on display at the awards ceremony. Seeing its arctic home melting away, a lone polar bear sets out on a great journey to thank someone who is trying to help. The 30/10 Initiative will allow 12 crucial public transit projects to be constructed in Los Angeles in 10 years rather than 30, improving transportation in L.A. and creating more jobs. Film about the planned LA Streetcar Line. Prominent Angelinos extol the virtues of the proposed streetcar for Downtown Los Angeles. The film gives viewers a virtual experience of a streetcar gliding down the streets of Los Angeles. Production created by Nelson and Sixta, Los Angeles. Original footage by Brewhouse of Portland, Oregon. No ridiculous car trips is an informational film about a campaign with the same name. 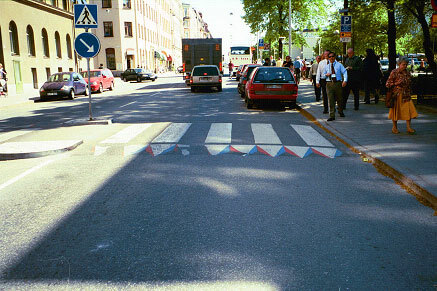 Trying to get more people too choose riding their bike over their car in Malmo City. China sets a new record for high speed rail and America's long-term vision for high speed rail begins to emerge. The Life of Coal is a dirty one. 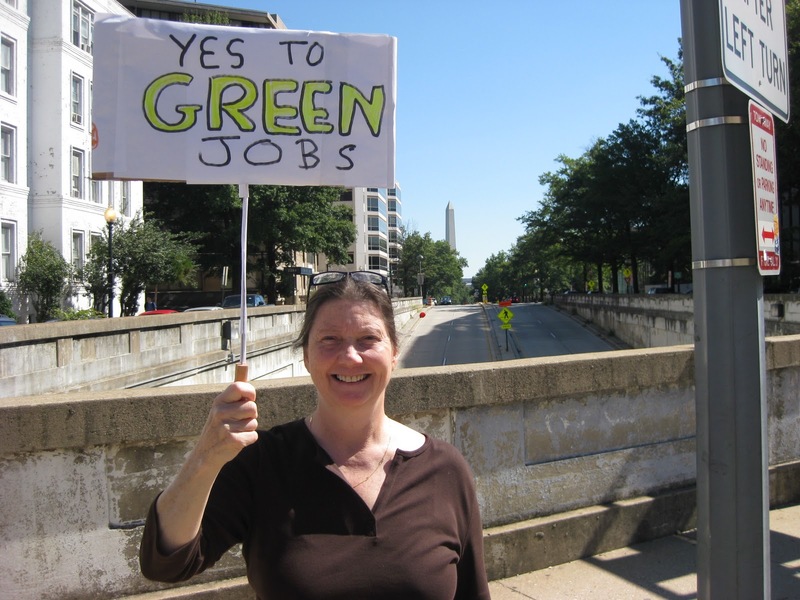 Learn about it and get involved in the work to build a cleaner future! Summary: For the first time, federal land managers gave final approval Tuesday for the construction of two large solar installations on public lands that could power hundreds of thousands of homes with renewable energy. Summary: Solar company PsomasFMG has started construction on a $52-million solar power installation for the Antelope Valley Union High School District. The 9.6 Megawatt system, which will use approximately 41,000 photovoltaic panels, constitutes the largest school solar power project to date in California. Summary: The Governator is hardly leaving office meekly. He recently toured California, touting the fourth anniversary of AB 32's passing. Schwarzenegger is throwing himself into the fight against Prop 23, and he says he will push for clean technology long after his term as governor expires. Summary: Hopefully, you've heard lots of buzz about Prop 23 by now, the ballot measure that would effectively repeal California's landmark clean energy and climate law (AB 32). Voting no on 23 sends a clear message that California does not want to lose its advantage as the country's cleantech leader. Summary: NBC Los Angeles visited various farmers markets across the city, and trailed some vendors who claimed their farms grew everything from broccoli to avocados. But the truth was eventually revealed: visits to farms showed rows of rows of dirt, and one vendor was even caught purchasing vegetables, many of them from Mexico, at Los Angeles's mammoth wholesale market outside of downtown. Summary: We've been hearing about them for months: The all-electric Nissan Leaf, the extended-range electric Chevrolet Volt, the Mercedes-Benz B-class F-cell. During this weekend's AltCar Expo at the Santa Monica Civic Auditorium, 20 alternative-propulsion vehicles won't just be on display. They can actually be driven. By you. Summary: The California High-Speed Rail Authority has decided that the right place for a maintenance facility is in the Central Valley, but the location has yet to be decided. With new matching funds, Fresno may have a leg up. Summary: Roelof van Ark, CEO of the California High-Speed High Speed Rail Authority, said earlier this week in San Jose that he is "more confident than ever this project can and will be built." Summary: Yes, you heard right. Among the many intriguing green innovations at last weekend’s West Coast Green were the new Plug n’ Save Solar Shutters, a rather simple solution for homeowners hoping to cut utility costs. One of the pleasures of riding Amtrak's Pacific Surfliner Train from Los Angeles to San Diego is how easy it is to bring your bike on the train. There are bike wall racks on nearly every car so you don't have to deal with the hassle and the costs of boxing your bike and stowing it. 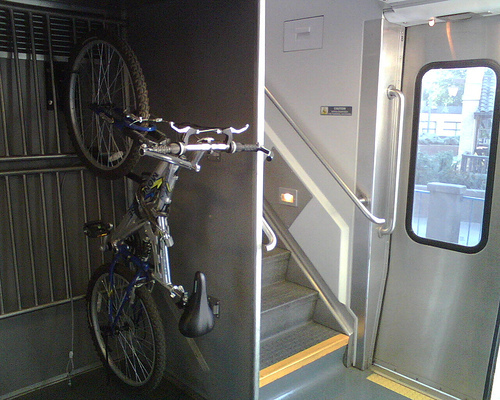 Unfortunately the Southern California route is one of the few lines in the system that allow for roll-on and roll-off biking. That is a shame. I recently encountered a couple of guys who took the train up to D.C. from Richmond, Virginia and wanted to do the right thing and bring their bikes onboard instead of renting a car, but couldn't because there are no bike wall racks on any of the East Coast lines and they didn't want to spend the time and the money boxing up their bikes. If Amtrak wants to stay competitive with the private operators that are bidding for the new high-speed rail lines that are coming, then they need to cater to bikers and not just business travelers around the country. Wouldn't it be great if one day you could bike to Union Station in D.C., board a train bound for New York City and leave Penn Station on your bicycle? President Obama will install solar panels and a solar water heater on the roof of the White House by the spring of 2011. Not since President Carter's solar panels has such a public commitment been made to renewable energy. This decision has the potential to give a huge boost to an already burgeoning solar power industry in the United States. 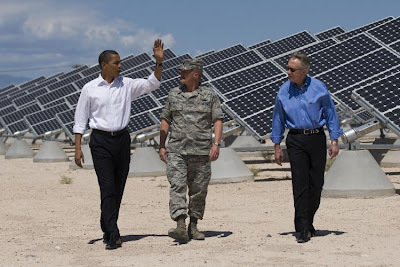 WASHINGTON – U.S. Energy Secretary Steven Chu and Council of Environmental Quality (CEQ) Chair Nancy Sutley today announced plans to install solar panels and a solar hot water heater on the roof of the White House Residence. These two solar installations will be part of a Department of Energy demonstration project showing that American solar technologies are available, reliable, and ready for installation in homes throughout the country. Secretary Chu and Chair Sutley made the announcement during CEQ’s 2010 GreenGov Symposium, which is bringing together leaders from Federal, state and local governments, nonprofit and academic communities and the private sector to identify opportunities around greening the Federal Government. The PV system will convert sunlight directly to electricity. The solar hot water heater will have a solar collector facing the sun that will heat water for use in the White House Residence. The Department of Energy will now begin a competitive procurement process to select the company responsible for the installations. By installing solar panels on their homes, consumers are able to effectively lock in the price of electricity they will pay in the years ahead, acting as an insulator against future rises in electricity prices since the systems installed in homes today are expected to last approximately thirty years. Financial incentives are also available to offset the initial costs of installing solar energy systems, including a 30 percent federal tax credit and additional state, local, and utility incentive programs to encourage the deployment of renewable energy. The deployment of solar energy and other renewable energy sources will help expand U.S. clean energy manufacturing and create new jobs for American workers. As a result of investments under the Recovery Act, the solar energy industry is growing and solar resources can now be seen in communities nationwide. In the coming years, continued investments in innovation and cutting-edge solar technologies will help make solar energy cost-competitive with conventional electricity sources all across the country. This announcement is made on the one-year anniversary of President Obama’s Executive Order 13514 on Leadership in Environmental, Energy, and Economic Performance, which called on the Federal Government to lead by example towards a clean energy economy and reduce, measure and report direct and indirect greenhouse gas pollution. 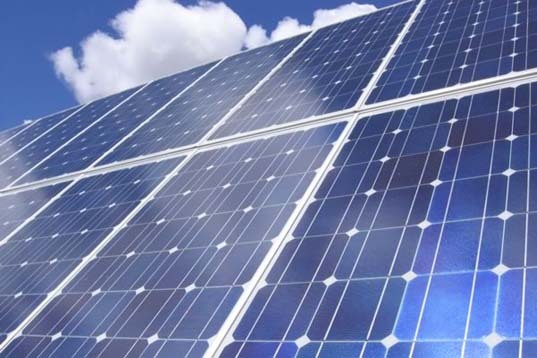 In support of this goal, the Department of Energy also released “Procuring Solar Energy: A Guide for Federal Facility Decision Makers” to support the use of solar energy throughout the Federal Government. On Saturday afternoon thousands of people gathered along the Reflecting Pool and the steps of the Lincoln Memorial in Washington, D.C. to rally for a range of progressive issues including green job creation. The officially-titled One Nation Working Together event featured a heavy turnout from labor and civil rights groups, and was billed by the media as the liberal answer to Glenn Beck's Tea Party rally which took place at the same spot in late August. Both events were aimed at energizing their base to get to the polls for the midterm elections on November 2nd. Former White House Council on Environmental Quality's Special Advisor for Green Jobs, Van Jones, spoke about energy efficiency and renewable energy such as solar and wind as the solution to our economic, security and environmental problems. Here is the full video of his speech followed by a picture slideshow from the event.